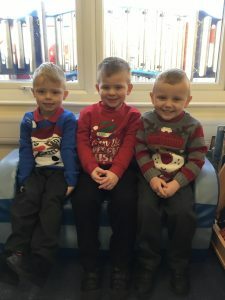 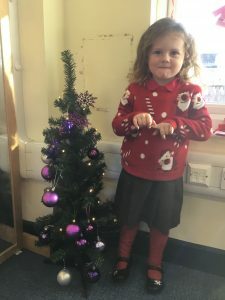 We have been feeling super Christmassy today! 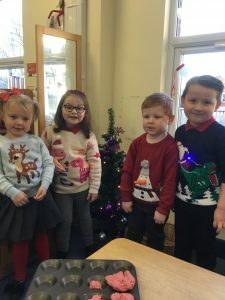 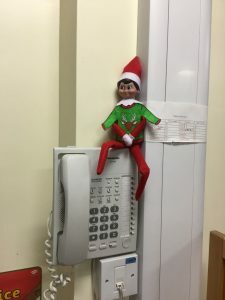 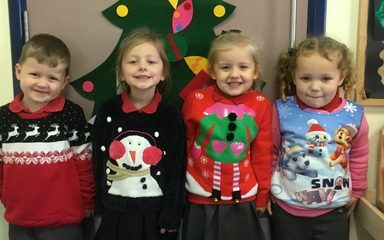 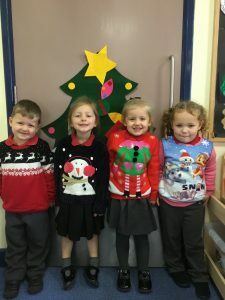 Everyone looked fantastic in their Christmas jumpers, even our elf Twinkle Merrybottom had made himself one. 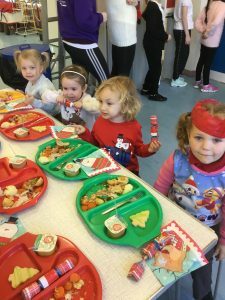 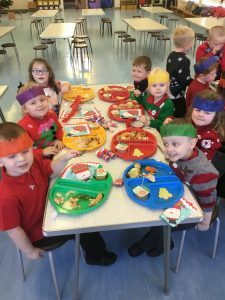 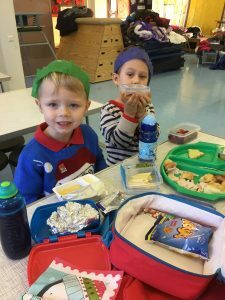 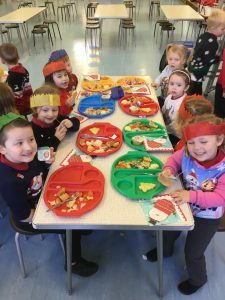 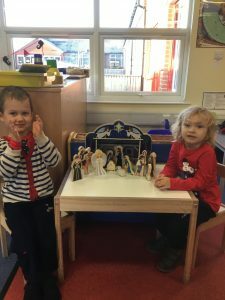 We all enjoyed our delicious Christmas dinner and we loved pulling crackers with our friends. 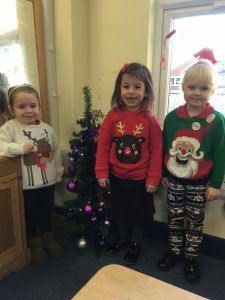 To finish off we had a brilliant time at the pantomime, we are definitely ready for Christmas now!